Option to sponsor, for an additional fee, an event (reception, banquet, business lunch, PhD workshop, award paper session, keynote session, etc.). Company logo on banner display over the venue's main entrance. 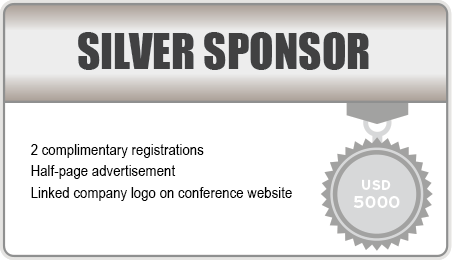 Company logo on conference poster as a platinum sponsor. Company logo on conference t-shirt as a platinum sponsor. Full-page advertisement in the conference brochure. Linked company logo on conference website. Acknowledgement as a platinum sponsor at the conference banquet. A Board room (10 person) would be made available at the conference venue for 1.5/3.0 hours for private discussion and interviewing for pre-invited participants. 9 sqm linear booth including company name, 1 counter/cabinet, 1 stool, lighting and electrical connection. 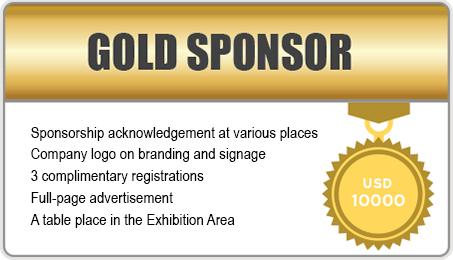 Company logo on conference poster as a gold sponsor. Company logo on conference t-shirt as a gold sponsor. Acknowledgement as a gold sponsor at the conference banquet. Half-page advertisement in the conference brochure. 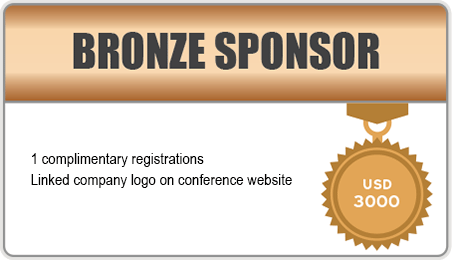 Company logo on conference poster as a bronze sponsor. A table & chairs in the Exhibition Area. 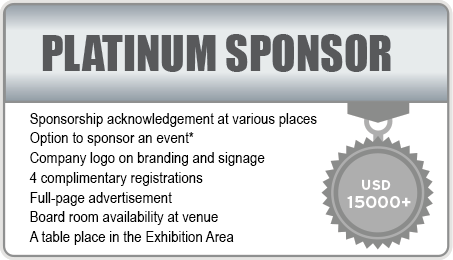 Companies interested in sponsoring a specific event within the conference are asked to contact the General Chair about the possibilities and associated costs/logistics.